Summer 2017 has been a summer of “firsts.” It was my first time on a plane, my first time out of the country, and my first time traveling alone. I took a taxi for the first time in my life, successfully navigated a confusing bus system in a strange city, and had entire conversations with strangers in Italian. The first month of summer was amazing, and I am so grateful that I was able to spend it in Italy on one of William & Mary’s summer study abroad programs! For four weeks, I lived with a host family in Florence and took art history and Italian classes at an international school. As I prepared to leave the country in May, I couldn’t help worrying about all of the things that could go wrong. (Canceled flights! Lost luggage! Language barriers! A potential “LOST” scenario!) 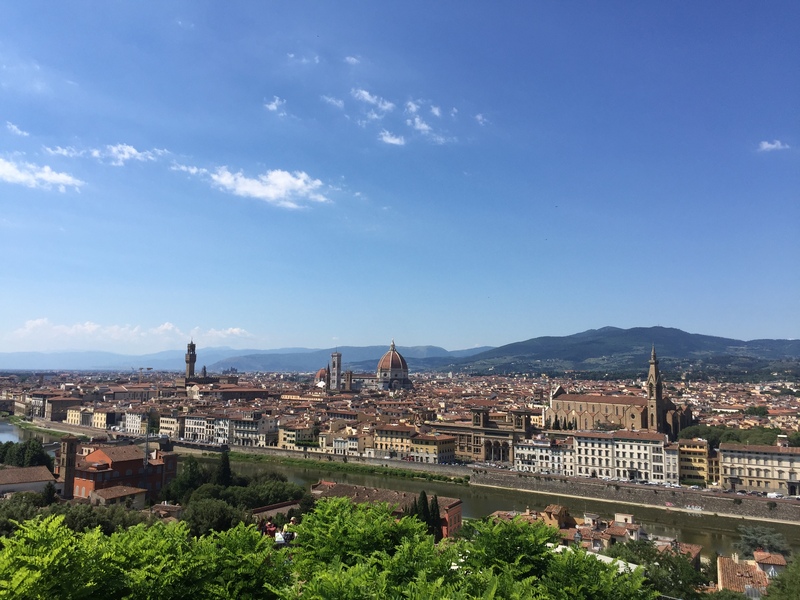 In the end though, my worries were pointless; I survived the plane ride and settled into Florence without incident. Despite the challenges that did inevitably come with living in a foreign country, my time in Italy was incredible. By keeping an open mind and a positive attitude, challenges became nothing more than new experiences and opportunities for growth. Sure, I got stuck on the wrong bus for an hour, was eaten by mosquitoes, and awkwardly navigated language barriers – sometimes with limited success. On the other hand, I also made some amazing friendships, saw famous works of art, and spent the weekends exploring different cities in Italy. Despite the challenges, I wouldn’t change a single thing about my experience. One of my favorite parts of the program was the home stay. My roommate and I lived with an Italian grandmother about 15 minutes outside the city center. We ate dinner with our host mom most nights, and she made fantastic home cooked meals. Since our host mom knew very little English, dinner was also a great time to practice our Italian! Armed with Italian dictionaries, we were able to bridge the language barrier and have some really interesting conversations over delicious dishes like pappa al pomodoro and gnocchi. We also met our host mom’s family and hung out with her granddaughter in the city! This was such a unique part of my experience abroad, and I am extremely grateful for those cross-cultural friendships. While I still loved doing more “touristy” activities like climbing the Duomo and taking a gondola ride in Venice, little moments like watching the news with our host mom and meeting students from around the world in my Italian class are some of my favorite memories from the trip. 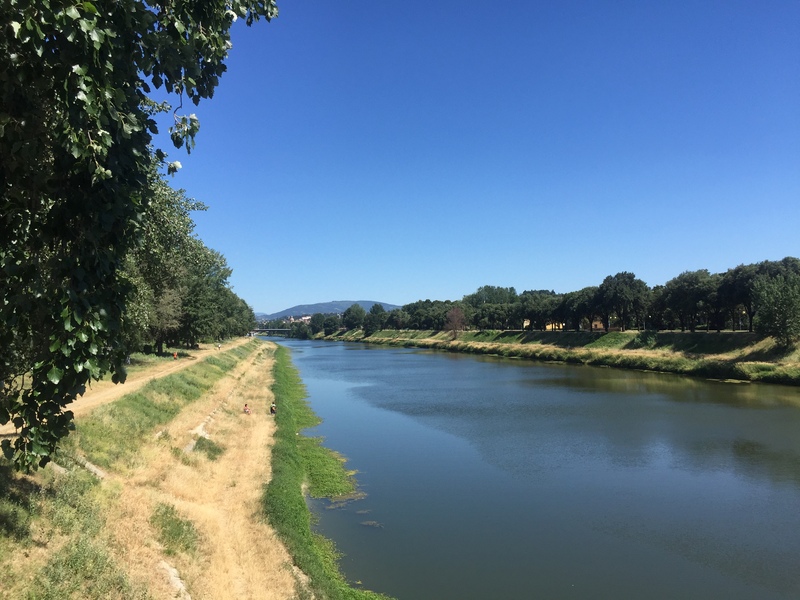 Spent an afternoon exploring Cascine, a giant park near our apartment and the Arno River. It was fun to see a quieter part of the city! While living in a home stay helped us feel a bit more like locals in the city of Florence, I also enjoyed branching out and visiting other cities throughout Italy. 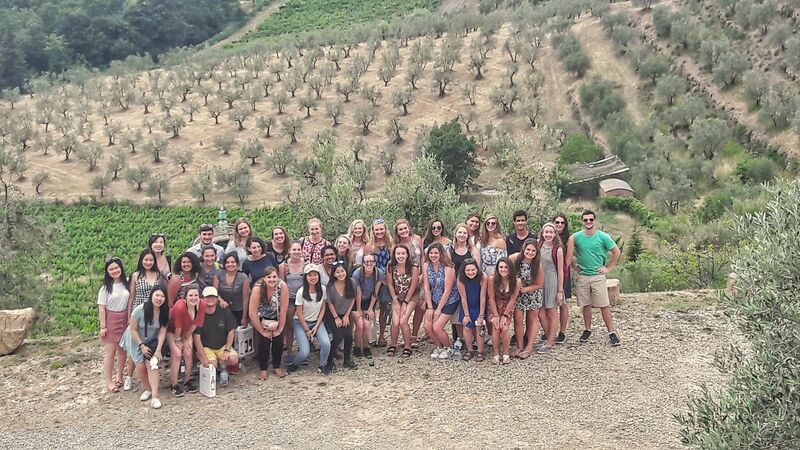 During the month, we took group excursions to Venice, Siena, San Gimignano, Cinque Terre, and Chianti. 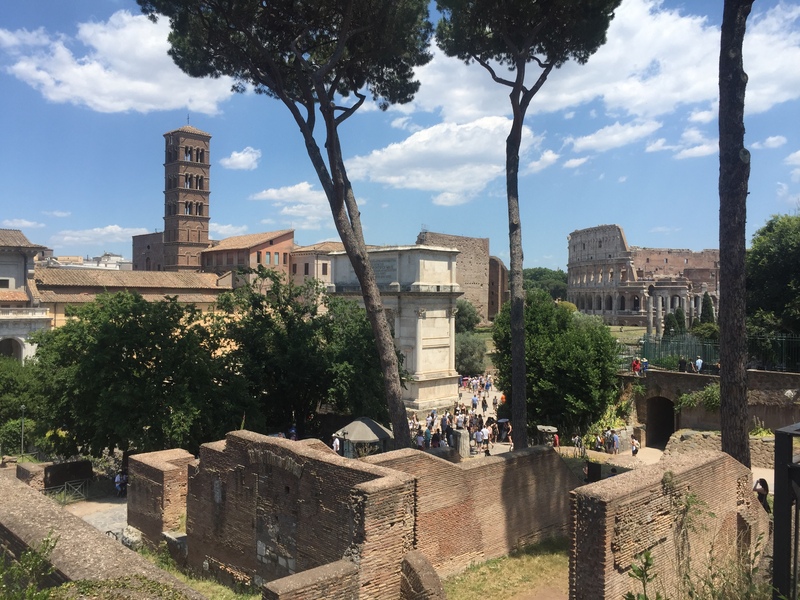 Then on our free weekend, some friends and I spent the day in Rome! It was cool to see diverse regions and landscapes and to learn about each city’s unique history. 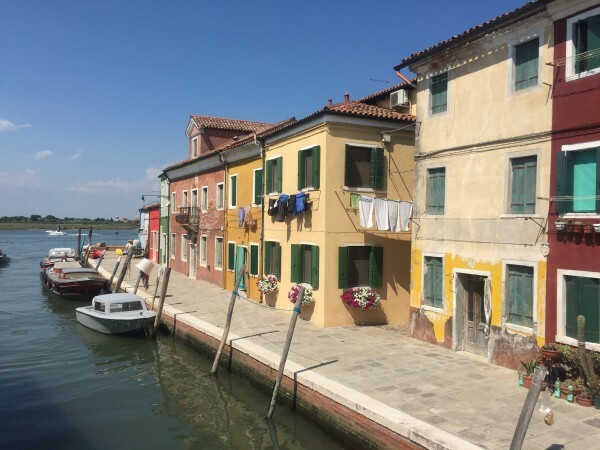 Spent an afternoon on Burano, a beautiful and colorful island in the Venetian Lagoon. Our weekend in Venice was definitely my favorite excursion! In order to prevent this blog post from turning into a novel, I should probably stop here. To sum it up, my trip to Florence has been one of the best parts of my William & Mary experience so far. 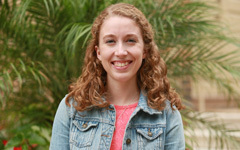 Even if you are unsure if study abroad is right for you, I strongly suggest visiting the Reves Center website or stopping by the Global Education Office. They have a ton of helpful information on different programs and scholarship opportunities. I wish I could have stayed in Italy longer, but for now, I’m enjoying the rest of my summer at home in good old RVA. Arrivederci!! Wow, what a wonderful way to spend start the summer! Your description of your experience made me what to visit Italy. I have always wanted to visit Europe again. I have only been there once for a short trip to Germany. Maybe one day I will make it back and will definitely have to add Italy to my itinerary. I hope you enjoy the rest of your summer break!